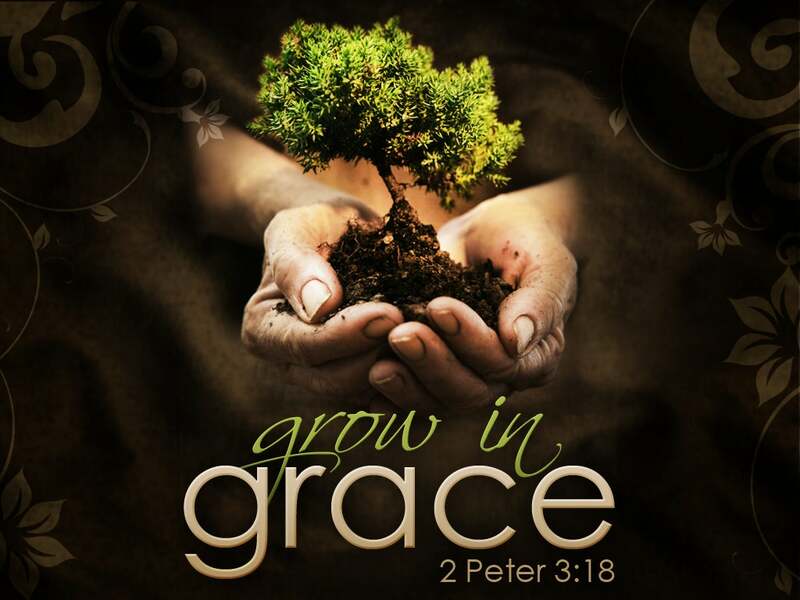 ﻿ 2 Peter 3:18 But grow in grace, and in the knowledge of our Lord and Saviour Jesus Christ. To him be glory now and unto the day of eternity. Amen. 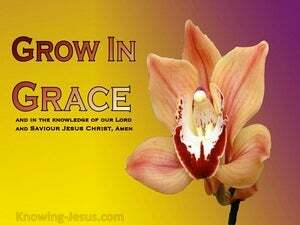 But grow in grace, and in the knowledge of our Lord and Saviour Jesus Christ. To him be glory now and unto the day of eternity. Amen. Instead, continue to grow in the grace and knowledge of our Lord and Savior Jesus, the Messiah. Glory belongs to him both now and on that eternal day! Amen. 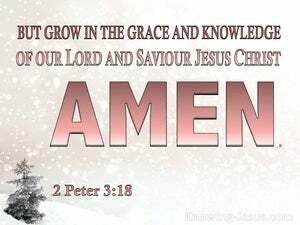 But grow in the grace and knowledge of our Lord and Savior Jesus Christ. To him is the glory both now and into the day of the age. Truly. 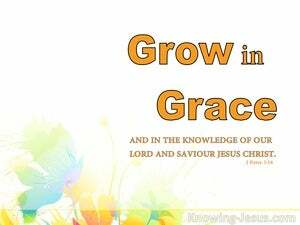 But grow in the grace and knowledge of our Lord and Saviour Jesus Christ. To him be the glory both now and for ever. Amen. But grow in grace (undeserved favor, spiritual strength) and recognition and knowledge and understanding of our Lord and Savior Jesus Christ (the Messiah). To Him [be] glory (honor, majesty, and splendor) both now and to the day of eternity. Amen (so be it)! But grow in the unearned favor and knowledge of our Lord and Savior Jesus Christ. May He be honored both now and forever. May it be so. 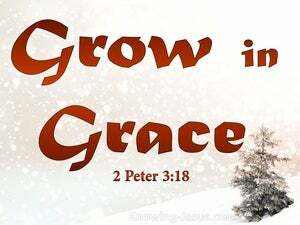 But grow in grace, and in the knowledge of our Lord and Savior Jesus Christ. To him be glory both now and to the day of eternity. Amen. But be increased in grace and in the knowledge of our Lord and Saviour Jesus Christ. May he have glory now and for ever. So be it. on the contrary, may you increase in the favour, and in the knowledge of our Lord and Saviour Jesus Christ! to him be glory both now and for ever. AMEN. but grow in grace, and in the knowledge of our Lord and Saviour Jesus Christ. To him be glory both now and to the day of eternity. Amen. But grow in favor, and in the knowledge of our Lord and Saviour Jesus Christ. To him be glory, both now and to the day of eternity. Amen. but grow in the grace and knowledge of our Lord and Saviour Jesus Christ. To him be glory both now and unto the day of the age. You must grow in the blessing and knowledge of our Lord and Savior Jesus Christ. Glory to him now and forever. But grow in grace and in the knowledge of our Lord and Saviour Jesus Christ: To him be the glory both now and to the day of eternity! Amen. But grow in grace and in the knowledge of our Lord and Saviour, Jesus Christ. To him be glory both now and until the day of eternity. Amen. And grow ye in the grace and knowledge of our Lord and Saviour Jesus Christ. To him the glory now and to the day of eternity. Amen. But grow in the grace and knowledge of our Lord and Savior Jesus Christ. To him [be] the glory, both now and to the day of eternity. Amen. 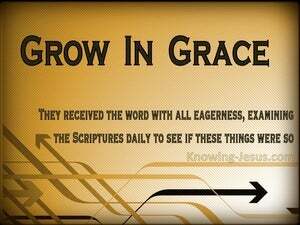 But grow in grace and in knowledge of our Lord and Savior Jesus Christ. To Him be the glory, both now and to the day of eternity. Amen. 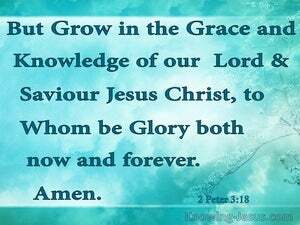 but grow in the grace and knowledge of our Lord and saviour Jesus Christ. To him be the glory now and to the day of eternity: Amen. But grow continually in the grace and knowledge of our Lord and Saviour Jesus Christ. To Him be the glory both now and unto the Day of Eternity, Amen. But grow in the grace and knowledge of our Lord and Savior Jesus Christ. To him be the honor both now and on that eternal day. But grow in the grace and knowledge of our Lord and Saviour Jesus Christ. To him be the glory, both now and for ever. 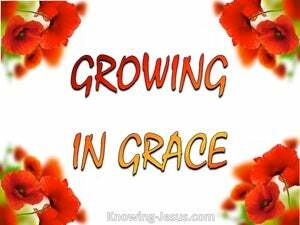 but grow in grace and in the knowledge of our Lord and Saviour Jesus Christ. To him be the glory both now and forever. But be growing in the favour and knowledge of our Lord and Saviour Jesus Christ: - unto whom be the glory, both now and unto a day that abideth. 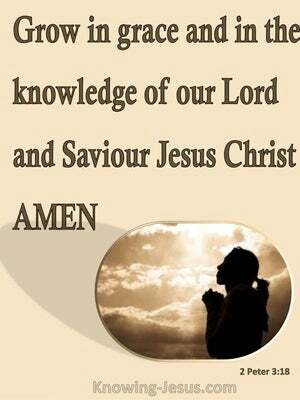 and advance in the love and knowledge of our Lord and Savior, Jesus Christ. All glory be to him now and for ever. But grow in grace, and in the knowledge of our Lord and Savior Jesus Christ. To him be glory both now and for ever. Amen. But be always growing in the grace and knowledge of our Lord and Saviour Jesus Christ. To Him be all glory, both now and to the day of Eternity! but instead, you must continue to grow in the spiritual strength and knowledge of our Lord and Saviour Jesus Christ. To Him be glory now and forever! 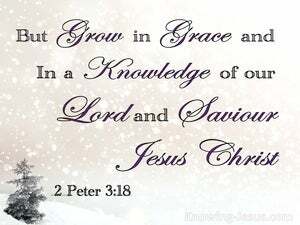 But grow in the grace and knowledge of our Lord and Savior Jesus Christ. To Him be the glory both now and forever. But grow in grace, and in the knowledge of our Lord and Saviour Jesus Christ: to Him be glory both now and for ever. Amen. and increase ye in grace, and in the knowledge of our Lord and Saviour Jesus Christ; to him is the glory both now, and to the day of the age! Amen. 17 Ye therefore, beloved, knowing this before, be on your guard, that ye be not carried away with the delusion of these lawless men, and fall from your own stedfastness. 18 But grow in grace, and in the knowledge of our Lord and Saviour Jesus Christ. To him be glory now and unto the day of eternity. Amen. And the Lord will deliver me from every evil work, and preserve me for his celestial kingdom: to whom be glory for ever and ever. Amen. For if having escaped from the defilements of the world by the knowledge of our Lord and Saviour Jesus Christ, they are again enveloped by them and overcome, their last deeds are worse than the first. and made us kings and priests to his God and Father; to him be glory and might for ever and ever. Amen. And lead us not into temptation; but deliver us from evil: for thine is the kingdom, and the power, and the glory, for ever and ever. Amen! teaching them to observe all things whatsoever I have commanded you: and, lo! I am with you at all times even to the end of the world. Amen. in order that all may honour the Son, just as they honour the Father. He that honoureth not the Son, doth not honour the Father who sent him. and this is eternal life, that they should know thee the only true God, and him whom thou hast sent, Jesus, the Messiah. Because by him, and through him, and for him, are all things, to whom be glory for ever and ever. Amen. For the God who commanded the light to shine out of darkness, he hath shined into our hearts, to give illumination of the knowledge of the glory of God in the face of Jesus Christ. and have put on the new man, which is renewed in knowledge, after the image of him that created him. For if these things are in your possession, and abounding, they will render you neither inactive nor unfruitful in the knowledge of our Lord Jesus Christ. but an entrance will thus be richly afforded you into the eternal kingdom of our Lord and Saviour Jesus Christ. to the only wise God our Saviour, be glory and majesty, might and dominion, both now and unto all eternity. Amen.